Sightings of mermaids have taken place all over the world. Even the famed pirate Blackbeard is said to have sighted them, and to have kept away from certain areas, for fear of encountering more of the creatures. The earliest surviving tale of these mysterious beings, half-woman and half fish, date from about 3,000 years ago. The story involves a goddess who, upset because she had accidentally killed her human lover, threw herself into the sea. Perhaps she had contemplated suicide, but her divine virtue protected both her life and her beauty, transforming only her lower half into a fish, while maintaining her lovely face and allowing her to live under the waves. 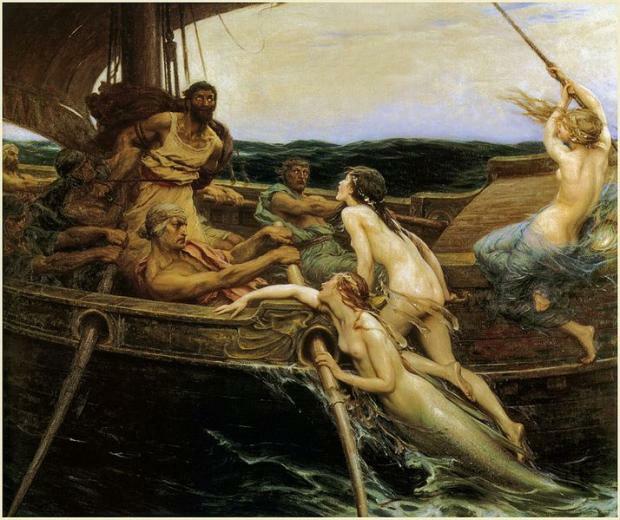 Some believe that the magical powers of mermaids come from association with sirens. Others believe that the two are one and the same. This give rise, not only to tales of magical powers, but legend of mermaids who rise from the depths to drag men down to their doom. Whatever their origin, mermaids are conceived as beings more than mortal. It is said that they live eternally, unless killed, and that they have the power to bring good luck or bad luck. Some are perceived as beings with a fish’s tail, but others are said to be exactly like humans. These mermaids are sometimes seen on land. One such tale tells of a very young mermaid who came onto land to steal a little girl’s doll. 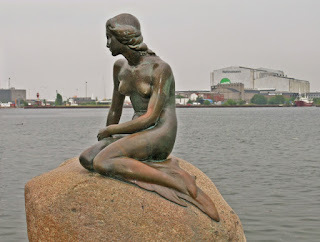 In this story, the mother of the little mermaid came to shore with her daughter the next day. She made the young mermaid apologize for the theft, and give the little human girl a necklace of valuable pearls in return. 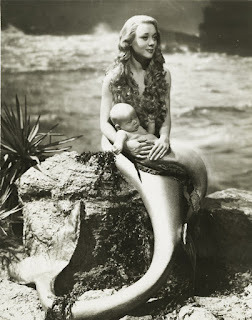 So apparently mermaids are good parents. 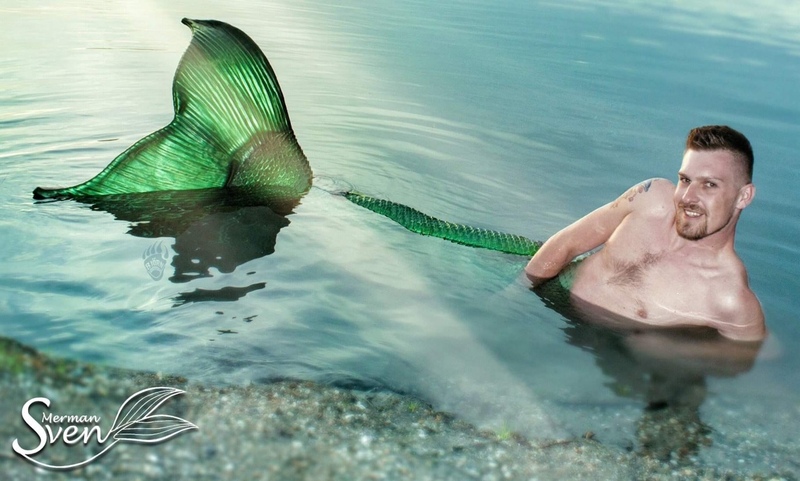 Where there are mermaids, of course, there are mermen. 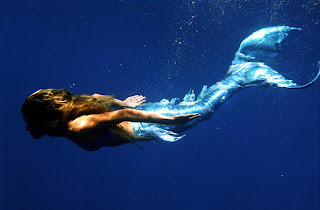 Mermen are not nearly as widely reported as their female counterparts, but they do exist, and it is generally assumed that mermaids and mermen live together under the waves. Mermen, however, are usually described as being hairy and wild-looking, even brutish. Perhaps this explains the fascination that females of the species have with passing sailors. Of course, the most famous of these under-sea creatures is The Little Mermaid. Many people will be surprised to learn that the tale is much older than Disney. In fact, it was written by Hans Christian Andersen in 1837. 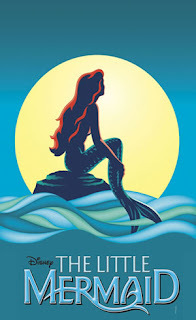 In this story, the Little Mermaid wants, not only to marry the handsome prince, but also to achieve a human soul. Though she trades her tongue and voice to a sea-witch, and endures terrible trials, the prince ultimately marries another. 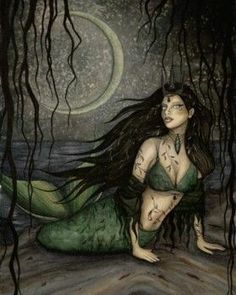 At this point the Mermaid’s sisters also do a deal with the sea-witch, and get an enchanted knife that will return their sister to her original state if she kills the prince with it. Yet the Little Mermaid’s love is true. She cannot kill the prince, but throws herself into the sea to drown. Her only consolation is to be changed to sea-foam, and then into an air spirit, which has the chance to win a soul by doing good deeds. Disney’s version of the story is credited with rejuvenating the studio. 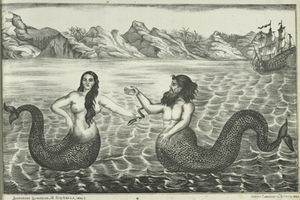 The fact that mermaids are not real has never stopped humans from wanting to see them, however. 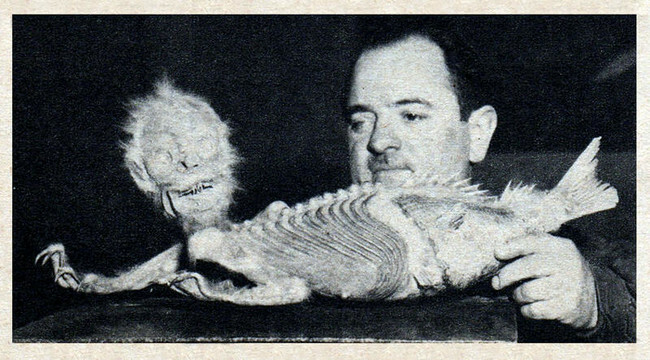 Many, many false mermaids have been created, usually artificially attached monkey and fish parts. These have been shown in various places. The most famous, the Fiji Mermaid, was concocted by P.T. Barnum, and displayed for years in his museum. But what did sailors see during the Golden Age of Piracy? Or even today, for that matter, because sightings are still reported. The “mermaid” is usually supposed to be a manatee or a dugong. These sea-mammals are known to sit upright in the water, and use their flippers much like hands. Still, it would take a desperate man, or one with a very vivid imagination, to see a beautiful woman in one of these! But the human imagination is powerful. Without any actual mermaids, people have resorted to creating their own. 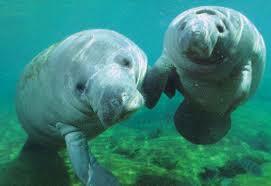 One such attraction is Weeki Wachee Springs in Florida. 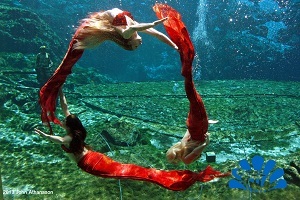 Beginning in 1947, a natural spring was turned into an underwater theater, where beautiful young women wearing fabric tails would perform underwater ballet. The attraction is now a state park and performances are still held, though the performers are now part time, and all are licensed scuba divers. 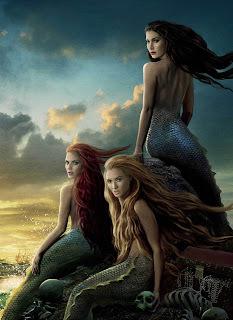 More recently we’ve seen mermaids in Pirates of the Caribbean. Many people were shocked to see the man-eating version of these beautiful creatures, but the Pirate’s franchise was only honoring all the lore of mermaids – including their ability to walk on land. Mermaids have many fans, and mermaid clubs are springing up all over. It’s a popular Halloween costume, and fabric tails for kids can be purchased for as little as $5.99. But if you want the real thing – a custom-made silicone tail that will convince your friends and family that you’ve actually turned “fishy” you can have that too. Of course, these come with a steep price, meaning several thousands of dollars. But for a true mermaid fan, no expense is too great. 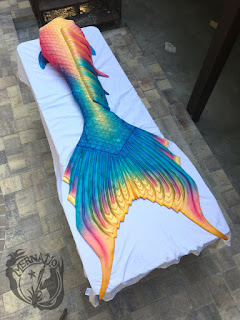 Nowadays mermaid pools, with ladies (and gentlemen) in this high-end swimwear can be seen at many pirate events, and even at Renaissance Fairs. I wonder what Columbus would have to say? Interesting read! I love mermaids. Thanks!